Perfect for invoice printing dual carbon copy invoices. energy star compliant. in original box. USB, Parallel & Ethernet connections. Print up to 40ppm (Mono). Add to Favourites. We will always go out of our way to source the product you are looking for. OKI Microline 4410. 1 x OKI Microline 4410. 1 x Power and Printer Cable. 1 x Ink Ribbon. Warranty ; 6 Months RTB Warranty. 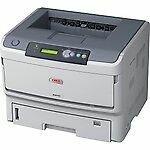 OKI B840dn A3 Mono LED Laser Printer. 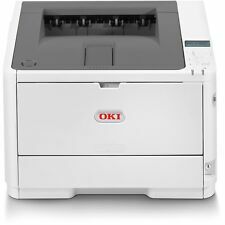 OKI B840dn A3 Mono LED Laser Printer 01308001. 40ppm Print Speed. The B840 is built on tried and tested digital LED technology, developed by OKI for over 20 years. Part : 01308901. The Printer Broker Ltd is a supplier of printers, fusers and printer parts based in Bolton, Greater Manchester, UK. Oki's unique, high durability 9 pin print head. 9 Pin Dot Matrix Printer. - Versatile 80 column dot-matrix printer. - 360 characters per second print speed. In this case, the Supplier will inform you of any delay as soon as possible and will give you the option of cancelling your order at this point. 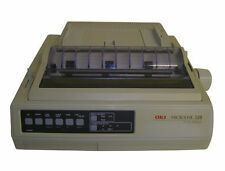 OKI Microline 3320 Dot Matrix Printer. The Printer Broker Ltd is a supplier of printers, fusers and printer parts based in Bolton, Greater Manchester, UK. A small piece of plastic is broken on the left side of the upper paper feed. No ribbon included. Printer only, as pictured. Printer Spares. Storage Location: 5C2. Tablet PC's. Servers & Components. Almost New condition, has seen very little use. We Reuse or Recycle All Materials to Minimise Waste. Part Number : 09000180 / 41735104. 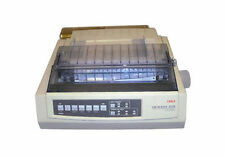 Oki Microline 320 - A4 Mono Dot Matrix Printer. The Printer Broker Ltd is a supplier of printers, fusers and printer parts based in Bolton, Greater Manchester, UK. We will always go out of our way to source the product you are looking for. Add to Favourites. Parallel and Ethernet connection. These Printer are our refurbished Printers. •Printer repairs undertaken. Isle of Man : IM, EVC. Freight services £50.00. 12 £15.00. (NOT INCLUDING NORTHERN IRELAND). Mainland UK. Oki's smallest dot matrix printer. - 9 Pin Dot Matrix Printer. 9 Pin Dot Matrix Printer. - 80 Column. USB and Serial Connectivity. - Perfect print quality at very low cost. Upon receipt of your order you will be asked to sign for the goods received in good condition. 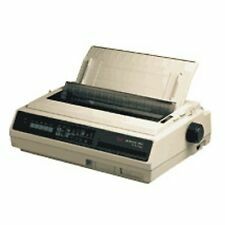 Oki Microline ML5520 eco Mono Dot Matrix Printer. Part : 01308601 / 42113933. The Printer Broker Ltd is a supplier of printers, fusers and printer parts based in Bolton, Greater Manchester, UK. 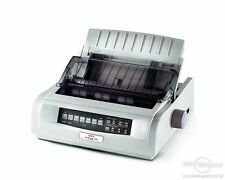 Oki Microline ML5720 eco Mono Dot Matrix Printer. Part : 01268401 / 44209905. The Printer Broker Ltd is a supplier of printers, fusers and printer parts based in Bolton, Greater Manchester, UK. We will always go out of our way to source the product you are looking for. Print up to 550 Characters Per Second. Add to Favourites. Parallel and Serial connections. Parallel connections. Print up to 5 part forms (Original 4 Copies). Add to Favourites. We will always go out of our way to source the product you are looking for. And with multiple emulations, replacing slow or failed printers is simple and straightforward. In this case, the Supplier will inform you of any delay as soon as possible and will give you the option of cancelling your order at this point. Part/Model Number: Microline 5720 9-Pin Eco / 01268401 / ML5720-ECO-2AC. Ideal for high duty applications, printing receipts, invoices, picking lists, reports or spreadsheets, on single or multi-part paper, the ML5720 printer will keep productivity levels high. Network Printing. USB 2.0 & Ethernet connections. Print up to 23ppm (Mono/Colour). We will always go out of our way to source the product you are looking for. Add to Favourites. OKI Microline 320 Elite Dot Matrix Printer. These printers are suited for (multipart) continuous forms, labels etc. Oki's unique, high durability 9 pin print head. 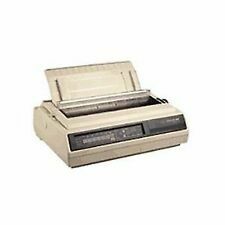 OKI Microline ML280 Elite (9-Pin) Dot Matrix Printer 80 Column (Serial). 607 characters per second print speed. Maximum resolution 360 x 360 DPI. The Microline 395 has an in-built push tractor with paper-park facility. 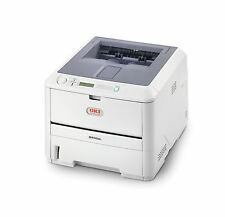 The Microline 395C is the colour version of this printer. OKI Microline 395. 1 x OKI Microline 395. Wide Format Heavy Duty 24 Pin Dot Matrix Printer. 1 x Ink Ribbon. 1 x Power Cable. Warranty ; 6 Months RTB Warranty. 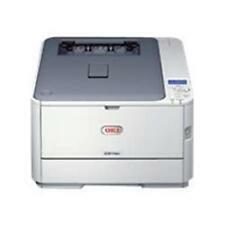 The 3410 is designed for very fast print and heavy duty usage. One of Oki's heavy duty fast dot matrix printers. OKI Microline. Printer has been fully dismantled and thoroughly cleaned. As with all our refurbished printers the following work has been completed.  Page Yield  22000 pages at 5% coverage. Ink & Toner. This does not affect your statutory rights. Stay in touch. Help & Advice. History of Ryman. About Ryman. £[[item.price]]. OKI Microline ML-5521. 1 x OKI Microline ML-5521. Wide Format 9 Pin Dot Matrix Printer. Parallel and USB Connections. 1 x Ink Ribbon. 1 x Power Cable. Warranty ; 6 Months RTB Warranty.